It is called, hands down, the best photograph of a Lake Monster. Were You At Champ’s Woodstock? Did you attend the first (and only?) 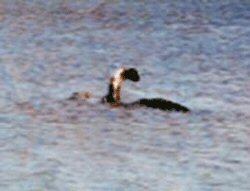 conference on this lake cryptid? Here you go. Have a look. Video. On Saturday, July 30th, there will NOT be a gathering of some Lake Champlain Monster researchers. If you are in the Burlington area, you may wish to take in a minor league baseball game, instead. Images.